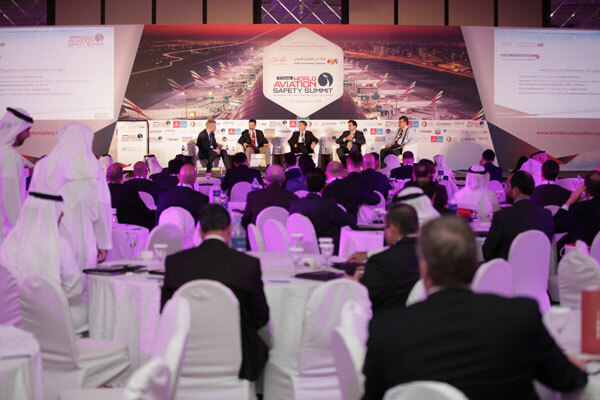 The importance of utilising data analytics and improving cyber security across aviation organisations were the central focus areas for day two of the sixth annual World Aviation Safety Summit. Hosted by the Dubai Civil Aviation Authority (DCAA), at Roda Al Bustan, Dubai from December 11-12, The summit welcomed more than 300 regional and international experts to discuss a range of topics that are top priorities for safety of the air transport sector. These ranged from ground handling incidents, communications, dangerous goods, flight data, effective management and reduction of flight overlap, safety performance, as well as evaluating best practices within the industry. In the first session, Sally Longstaff, safety analyst, Group Safety at Emirates, reviewed a range of techniques and methods for obtaining the best possible data for safety decision makers based on statistics. The head of flight safety at NetJets Europe gave a presentation on how flight data can be used to enhance safety management systems. Huw Ross, principal consultant at Helios, spoke about the cyber threats facing the international air transport sector as the industry has faced a range of cyber challenges and risks. He called for stakeholders at all levels to continue focusing on understanding these threats and their impact on safety. The UAE has invested heavily in trying to address these threats, having developed a range of legal frameworks and legislation as well as efforts to establish special centers to monitor these risks. He added that the aviation industry as a whole is working more closely than ever with IT consultants to tackle cyber security challenges and that cyber security within aviation is still at an early stage of development. Bikhal Jha, lecturer at the Modern College of Business and Science, analysed a number of ways and means of enhancing the quality of the capabilities of air navigation control centres and crew. The participants also heard a presentation by Dr. Edma Naddaf, Founder and president of EDMA Exec on employee assistance programmes and safety and the impact this can have on workers within the industry. The second day of the summit also included a series of interactive workshops, including one on the development of advanced training programs in aviation safety in the Middle East and North Africa region, and on risk management and forecasting, as well as a workshop on safety management systems. Khalid Al Arif, executive director Aviation Safety and Environment Sector, Dubai Civil Aviation Authority commented that this year's edition of the Summit has succeeded in attracting the world's leading experts to discuss and exchange experiences on the most important issues related to safety of the aviation sector. He added that Dubai is an industry leader as a global hub for air transport linking the East and West of the world through a world-class infrastructure with some of the highest global standards.